If you’re a business planning on offering securities, you already know about adhering to federal SEC regulations. However, many companies don’t properly prepare themselves to face individual state securities laws (aka. Blue Sky Laws). While many states have adopted the same legislation as federal laws, many also have their own, which could significantly tamper with your registration process if you’re unprepared. For example, if you’re a large company registered in every state, it could mean being subjected to up to 50 different securities regulation agencies, not to mention the SEC, the National Association of Securities Dealers, or any of the various regional exchanges you’re involved with. States also have their own notice and registration requirements, and state regulators can even conduct investigations if they see fit. 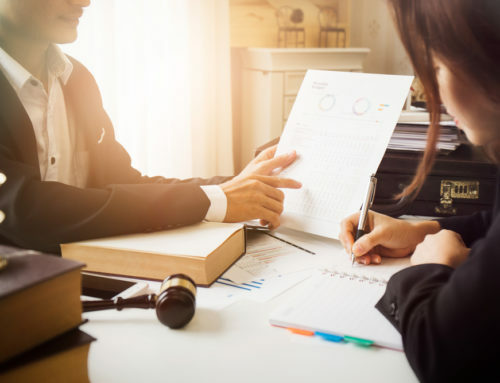 With this in mind, it’s important to know why Blue Sky Laws exist, the do’s and don’ts, and the basic steps for filing securities. Our 5-minute guide will give you the knowledge and resources you need to master them. Blue Sky Laws are designed to ensure transparency and protect investors from securities fraud by mandating disclosure. Each state has their own State Securities Commissioner to enforce their regulation laws. 1. Issuers selling their own securities, agents, brokerage firms, and individual brokers must be registered in each state they offer or sell securities. 2. All offered or sold securities must be registered in the state they are offered in, unless allowed exemption. That being said, states can still add on any number of conditions or required filings to exempt securities. Each state also has its own laws for agent and broker-dealer registration. Above all, even if multiple states enact the same legislation, their interpretations of “merit” may differ, leading to compliance problems over topics like low capital, overly high offerings, cheap stocks, too many outstanding warrants, and more. As you can see, securities law is probably one of the most regulated industries in the world. All the more reason to understand the basics and avoid as many potential compliance issues as possible. Here’s our must-have do’s and don’ts. If your security should be exempt based on any of the above terms, you should still be wary of specific state regulation laws. Here’s a useful list of each State’s Securities Commissioner contact info as well as their websites, which often include all the documentation you may need when filing securities in a specific state. Some states allow (or require) filings to be completed via the EFD (Electronic Filing Depository), making it way easier to register securities quickly and efficiently. Using the EFD allows you to file forms and fees to multiple states at once, and you’ll be able to monitor which states grant you compliance through electronic receipts. Click here to access the EFD website and begin your filing process. For agent and broker-dealer registration, states have also adopted the National Association of Securities Dealer’s Central Registry Depository System (CRD) to help automate the registration process. Also, states can still enforce their own procedures and refuse to use the CRD, like California, Hawaii, Michigan, and others. Being dishonest despite state regulation laws could mean having to buy back your initial investment, which could be very dangerous to your company depending on the investment’s value. Also, if an issuer successfully sells a security that doesn’t conform with a state’s regulation laws, the buyer has the power to sue the issuer, adding court costs, attorney fees, interest, and damages into the mix. While this guide should give you the basic understanding and resources you need to conduct your own research, we still recommend contacting a securities attorney to guarantee compliance and avoid any unexpected investigations. With this info, your attorney should have everything they need to complete the forms required for properly filing your security, ensuring a speedy process in getting your security on the market. While navigating Blue Sky Laws is one of the most difficult steps in offering a security, it’s essential to funding the growth of your company and to the integrity of the business area as a whole.